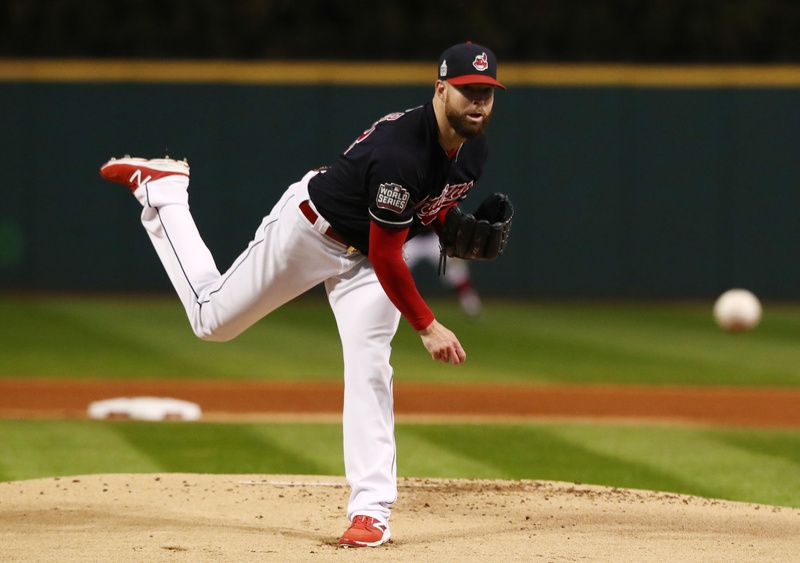 This piece, written by Baseball Prospectus’s Scooter Hotz, forms part of the main site’s comprehensive coverage of the postseason, “Playoff Prospectus”. Despite all the pregame talk of 30-40 mph wind blowing out at Wrigley for Game 3, runs were in short supply Friday night on the north side of Chicago. The only run of the game came on a pinch-hit RBI single by Coco Crisp. Starter Josh Tomlin and the formidable Cleveland bullpen combined to shut out Chicago for the second time in three games, leaving the Cubs and their fans wondering whether their offense will be making an appearance in the Fall Classic. After collecting two hits in Game 3, Jorge Soler figures to get another start in right field over Jason Heyward. However, it’s likely that the Cubs will end up using Heyward in Game 4 the same way they did in Game 3, as part of a double-switch with Heyward staying in the game for defensive purposes. Since he does not have medical clearance to play the field on his surgically repaired knee, Kyle Schwarber will once again be limited to pinch-hitting duties. Joe Maddon will probably try to keep the lefty-swinging Schwarber away from Andrew Miller, but Maddon would probably prefer to use Schwarber in a close game against Miller rather than end a game without getting Schwarber to the plate at all. Lead photo courtesy Elsa—USA Today Sports. Rian is the editor-in-chief of BP Wrigleyville, an author at Baseball Prospectus, and a contributor at VICE Sports and FiveThirtyEight. He's based in Boston, and misses Chicago every day.